Our curtains tracks offer the perfect combination of strength & quality. Fitting into the tightest corners, our tracks are perfect solution for any interior as they optimise light entering into a room and offer real ease of use with options for hand-drawn and motorised systems. 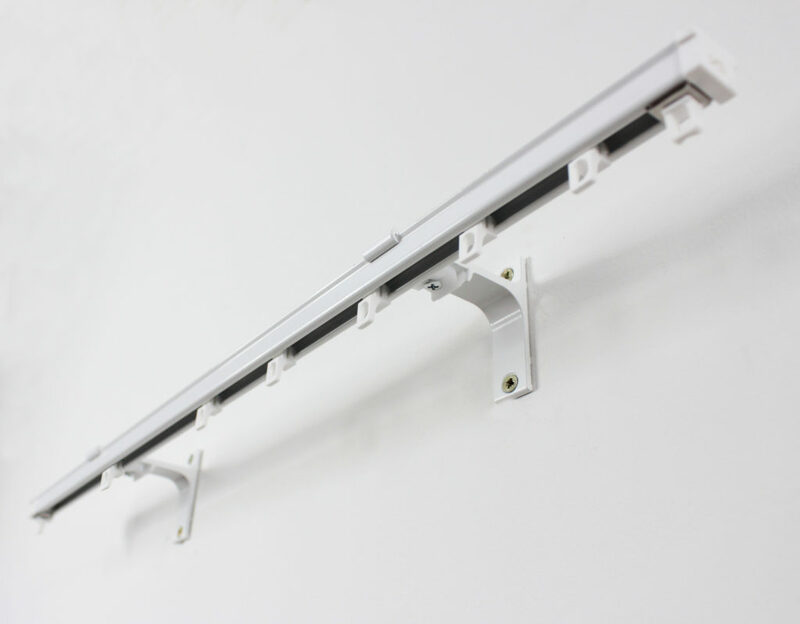 Our effortlessly gliding manual curtain track systems are suitable for all types of environments. As standard, tracks can come in white, black or silver colours however, other options available. Irrespective of the shape of the window, our tracks can fit into the tightest corners and can be mounted to a wall or ceiling. As each track is made-to-measure, we ensure the highest quality product. Our curtain track systems are available as hand-drawn or corded. Our motorised curtain tracks offer the perfect combination of efficiency & style. Each track has been engineered to create the perfect solution for any interior, optimising light entering into a room and offering real ease of use for the user via remote controls, wall switches and timers. The tracks can also be operated by hand. Create a sense of luxury and simplicity with our range of state-of-the-art silent motor curtain tracks. Ideal for less dexterous users, heavy curtains or hard-to-reach areas. With just one touch of a button on a wall switch, timer or remote, users can open and close curtains to a desired position with ease.